Which certification did you complete? Back during week three we had done a discussion post where we chose which marketing certification program we wanted to do. During that discussion I had stated that I was going to do the social media certification program. Since then, I had more time to think about which certification program that I wanted to do and I decided to change programs. I actually ended up doing the Sales Enablement marketing certification. After thinking about what I plan to do as a career, which my focus is sales, I thought this might be more beneficial to me and my possible future career. The digital marketing certification for sales enablement took around a total of 4 1/2 hours of video modules to complete. That does not include the quizzes at the end of each section as well as the time to take the final exam at the end. There was 12 different lessons throughout this program, and it took me about a week to complete the whole certification. I stuck to doing about two lessons a day for the last week until I was able to complete the final exam. What did you like best/least? I think my favorite thing about the certification program was the fact that they utilized video lesson plans throughout the program. This kept the whole program fairly engaging throughout the process of receiving the certification. I would always prefer videos over just about anything such as power points to teach lessons. The only part of this program that I didn’t enjoy was the final exam. This is only because I am not someone who enjoys tests, especially long tests, other than that the program was great. Were there any disappointments or frustrations? I never really had any disappointments or frustrations with the program. The only times that I could ever remember getting frustrated was when I would get a couple answers wrong for the quizzes in the end of the modules. I felt like I was able to learn a lot through this program. I learned things like the need for aligning your team around a unified revenue goal, holding your teams accountable with a service level agreement, using buyer personas in sales enablement, the power that content has in sales enablement, and many more things like it. The main focus of this program I believe was on the importance of content, and how to utilize that in almost every aspect of a sale. Content is key in any business and can be underutilized which could be a very big mistake in an industry. Do you believe this certification program is useful for other marketers? I do believe that this certification program would be useful for other marketers. I think that all of these programs that are available through HubSpot are very beneficial to anyone that is willing to put in the time to complete them. They all provide a lot of very good information that could teach someone a lot about any of the programs that they would like to master. On a scale of 1-5, how likely are you to recommend this certification program to a friend? Why? On a scale of one through five, I would give this program a five when recommending it to a friend. I would do this because I believe this program was very beneficial to me and taught me a lot, and would do the same to anyone else that is interested in the topic and willing to learn about it. 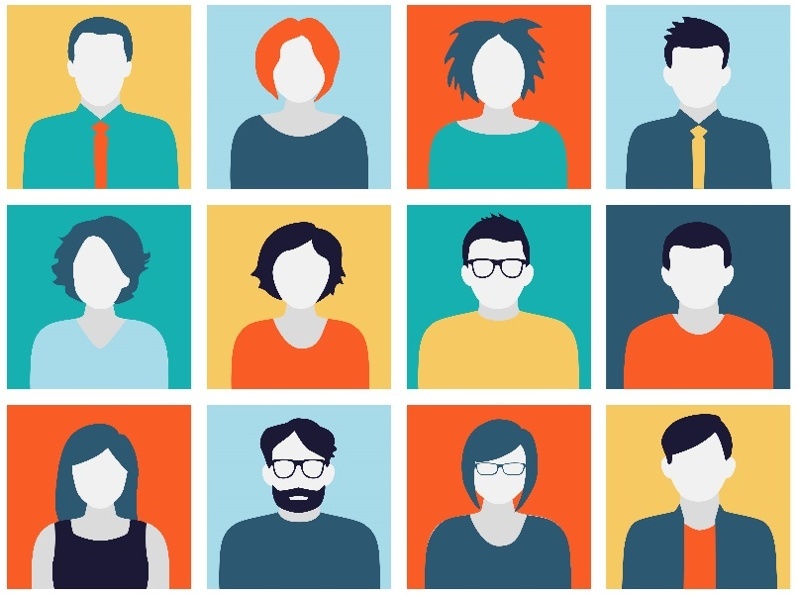 Buyer personas or (customer personas) are semi-fictional customers that represents the key traits of different large groups in your target audience. These buyer personas will give you a better idea of what your customers are thinking, and can offer greater insight into what problems they may have that you might have the solution to. Buyer personas can provide enormous value and insight to an organization when designed and utilized properly. In this blog we will talk about five key tips when using buyer personas for email marketing campaigns. When utilizing your buyers personas, they can help you understand very useful information for your email marketing strategy. You need to decide what goal you want to achieve from your email campaign. This could consist of building trust and brand awareness, increasing conversions, increasing customer value, or getting referrals. All of these can be great goals for a business, but you need to understand exactly what you’re looking for from people that you email. Once you have decided on your goal for your email marketing campaign, next you will want to decide on what type of content you will be sending out in your emails. This content could include discussions, events, guides, info graphics, and many more. You want to use your buyer personas to your advantage when looking into your email list. When organizing your email list into different groups you should look at things such as demographic data, including the person’s gender, age, location, salary, and other things. You can also look into things like the date they signed up, their behavioral data, and your clients email data. These are all important things that you should be looking into when segmenting your email list. You will want to utilize your buyers personas to try and customize your segmented email lists as much as possible. Segmentation of your email lists is something all marketers should look into. According to Mailchimp, segmented email campaigns performed “14.31% higher than non-segmented campaigns”. When writing your ad copy you want to utilize your buyer personas. Use these personas to find the problem that you are providing the solution to. You will want to give your readers an idea of how you’ll solve their problem. You’ll want to make your headline stand out. Try and use any type of emotional triggers that would work well for the persona that you are targeting. Make sure to focus on the benefits that you’re providing, don’t worry about the features. Using FOMO or the fear of being left out, can be extremely useful to create conversions. In this section, you want to utilize what your persona’s value. Depending on what your persona values, you can construct an offer that would be most irresistible to them. This could include things like a free trial or a discount code. After you have decided on the offer that you will implement in your email, you can focus on the call to action. You’re clickable call to action should also be personalized for the specific persona you are targeting. You’ll want to think about how your target audience will want to be contacted, and shape your call to action for that. If you think of a younger customer that is tech-savvy they will probably want to be contacted via text. While on the other hand, someone of an older generation might want to be contacted via phone call or email. These call to action buttons could include things like “Call Now”, “Download”, “Schedule a Time”, and many more. The most effective way to utilize your personas when it comes to conversions and sales is to create optimized landing pages for each persona that you send the email campaign to. Utilize all of the information that you have gathered in the above sections to create the most relevant landing page for your audience. Try and personalize it as much as possible to the select persona. Even though this might be a hassle, it’ll pay off in the long run with your increased conversion rate, which should mean more sales! Manley, Danielle. “8 Tips For Creating an Effective Buyer Persona.” MultiView, 15 Nov. 2016, www.multiview.com/resources/blog/8-tips-for-creating-an-effective-buyer-persona/. “4 Simple but Powerful Tactics for Writing Compelling Ad Copy.” Online Advertising: Learn About Advertising Online, www.wordstream.com/blog/ws/2017/01/12/how-to-write-great-advertising-copy. “Effects of List Segmentation on Email Marketing Stats.” Learning Resources – MailChimp, mailchimp.com/resources/effects-of-list-segmentation-on-email-marketing-stats/. Birch, Amy. “Creating Buyer Personas for Email Marketing Campaigns.” Wired Plus Marketing Hub, 27 Feb. 2018, www.wiredplus.com/hub/creating-buyer-personas-email-marketing/. 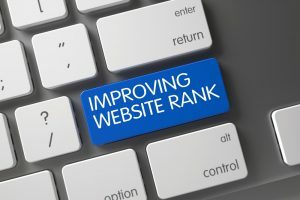 Web page ranking can be both a very beneficial thing to your business if you are ranked high or be a very painful thing to deal with if you are ranked low on a search engine. These five tips will help improve the ranking of your webpage and help bring more traffic to your website. This is the most important aspect to improving your ranking on a search engine. You want to provide content that is relevant and useful for your intended user of the site. This will help improve both authority and relevance for your website. You can do this By utilizing keyword phrases on each page of your website. Utilize this keyword phrase the route multiple paragraphs on the page. You can also bold or italicize these phrases to help them stand out. Try and strategically place these links throughout your content on your webpage. Avoid the “click here” links and try to utilize the name of the destination of the link within the text. Try and use names that are dense with keywords to successfully improve your webpage ranking. Keep in mind, utilizing a link from a well known authoritative site will be more helpful in improving your ranking rather than using a large number of links to unknown websites. It is much harder to compete for top keywords when you are a newer website. By identifying long-tail keywords, these will be easier gain and will help increase your ranking. You want to make sure you find keyword phrases that are as relevant as possible to your website, and that you can utilize throughout your text. Are using these longtail keywords on your webpage, this will help attract targeted customers that are looking for a specific thing that you are advertising. When you decide on a list of longtail keywords, make sure you check the competition for them, to confirm if they would be useful for you. A great place to do this is on Google’s Keyword Planner. Sophie. 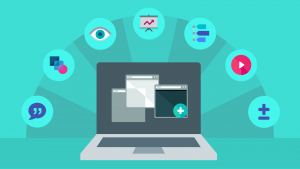 “5 Reasons Your Website Isn’t Ranking (And How To Fix Them).” Digital Marketing Institute, Digital Marketing Institute, 20 Apr. 2016, digitalmarketinginstitute.com/en-us/blog/5-reasons-your-website-isnt-ranking-and-how-to-fix-them. Price, Chuck. “5 Proven Ways to Increase Your Google Rankings.” Search Engine Journal, Search Engine Journal, 9 Oct. 2018, www.searchenginejournal.com/improve-google-rankings/246483/. Create a powerful and eye-catching headline. You want to be able to Grab the attention of whoever opens the page. This headline should allow the reader to understand what this page is going to do for them. Try and capture the value of what you are providing in your headline. Keeping your headline short and to the point can be in your favor. Images and videos are extremely important on a landing page. Making sure that there are images/videos of the product or service that you are offering is a must. Images/videos connect to people on a much deeper level than text, especially when trying to convey value. Another big thing to remember is to keep the images/videos relevant to the message you are trying to deliver. Irrelevant images/videos will distract the reader’s attention from your overall goal. Create an unmissable call to action. This is a crucial piece of your landing page, this is the difference between a high or low number of conversions. If your reader is unable to find the CTA that you want them to take on your landing page, you have already lost half the battle. Make sure your CTA will stand out, by using color/size, from the rest of your content on the page, so there is no way the reader can miss it. This should be the first thing they see on your page without even having to read any of the text. Your solution to a problem that you are solving must be included on your landing page. Make sure that you identify both the problem and how your product or service will be the solution to that issue. I should be seen throughout your whole landing page, everything should be tied in on how you create the solution to this problem and how that provides value to your readers. Being consistent throughout your landing page will be key to keeping your readers attention. Do not allow for any inconsistencies throughout your text that could cause readers to question you credibility for what you are offering. When you begin to confuse the reader on inconsistent facts, it will lead them to close out of your page. Proof read through your page on multiple occasions and allow for others to look over it for you as well, prior to putting out the real copy. Keep your page comfortable for readers, don’t overwhelm them with unneeded content. Dane, Marc. “Increase Your Landing Page Conversion Rate.” Business.com, 7 June 2018, www.business.com/articles/increase-landing-page-conversion-rate/. Teja, Shiva. “5 Effective Tactics To Boost A Landing Page Conversion Rate.” Marketing Agency Software | Reportgarden, 18 Oct. 2017, reportgarden.com/2017/10/18/tactics-boost-landing-page-conversion-rate/.